Hi, I am interested in your 2004 Honda Shadow (stock #MC01803) listed on Autotrader for $3,695. I'd like to get more information about this vehicle and confirm its availability. 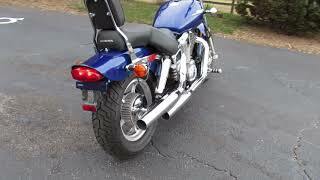 Nice running clean 2004 Honda Shadow 1100 fresh oil and filter, new rear tire front has plenty of life left in it.